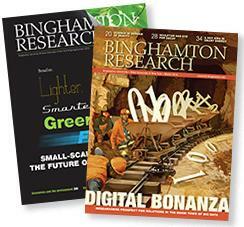 Binghamton Research Days Poster Presentations will take place at 11 a.m. and 2 p.m. Friday, April 12, in the University Union-Mandela Room. The event is a chance for undergraduate and graduate students from all academic disciplines to showcase their research. 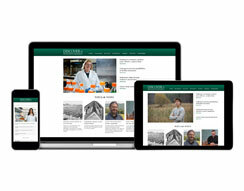 At Binghamton, we define undergraduate research as a mentor-supported inquiry, creative activity or scholarly investigation conducted by an undergraduate student that makes an original intellectual or creative contribution to the discipline. Original can be defined as a meaningful contribution by the student; it should be entirely or partially novel; it may reveal more questions than answers. Students and faculty mentors will receive an e-mail notification as to whether their poster was approved and, if so, to which session they have been assigned by March 11. Posters must be no larger than 48 inches(w) x 36 inches(h). This year, the Division of Academic Affairs will pay for posters to be produced if you use one of our templates (Top Logo, Bottom Logo).